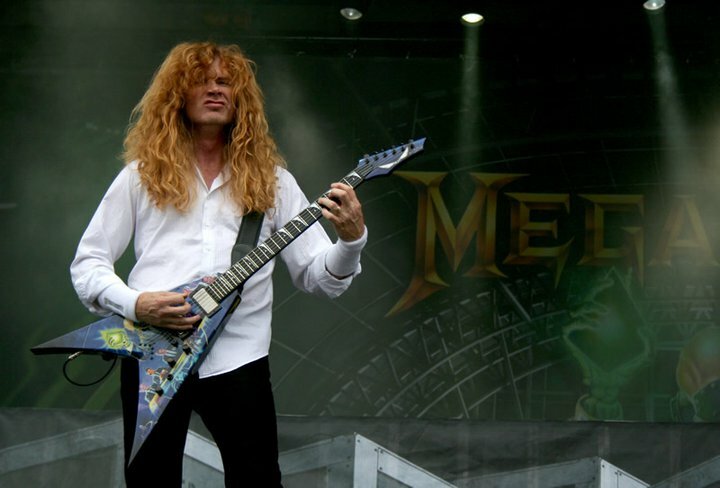 Megadeth mainman Dave Mustaine will take a turn as a featured soloist with the San Diego Symphony next year. UT San Diego reports Mustaine will appear in “Symphony Interrupted,” a program that will include Wagner's “Ride Of The Valkyries” from Die Walküre, Vivaldi's “Winter” from The Four Seasons and Dvorak’s Symphony No. 9 (the “New World” Symphony). Scheduled for April 12, 2014, the event has yet to confirm a conductor and Mustaine's exact involvement is still being worked out. Executive director Edward "Ward" Gill said it's all about reaching new audiences, while music director Jahja Ling said he had a good meeting with Mustaine, and he may conduct the concert himself.